Marks/Label: Printed on garment tag: "Stanfield's, size 34". 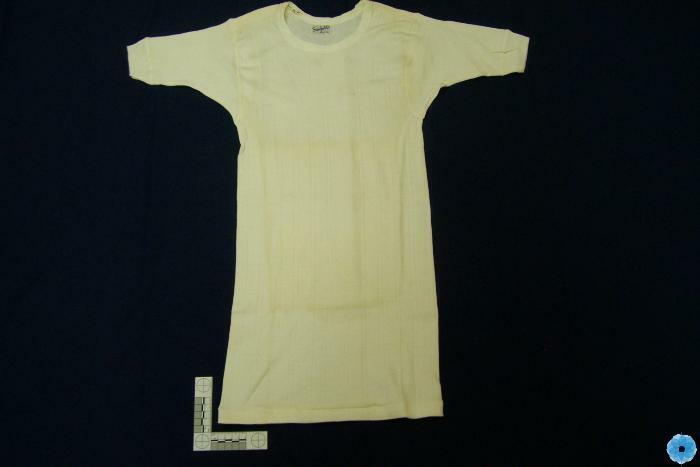 Shirt has a round neckline, short sleeves with a cuff, and a hem at the bottom of the shirt. The fabric is knit in a rib-type pattern.